Hope you are all having a great Easter holiday. The weather has been warmer this week and we are making the most with fun family days out and breaks in the UK. 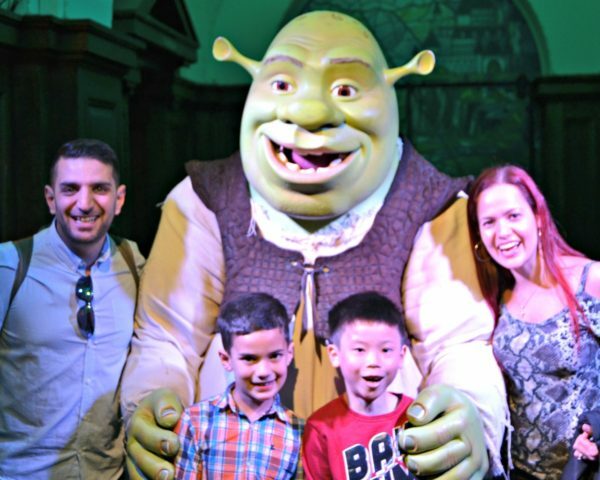 We love visiting London’s attractions and have been wanting to visit Shrek’s Adventure for a while. 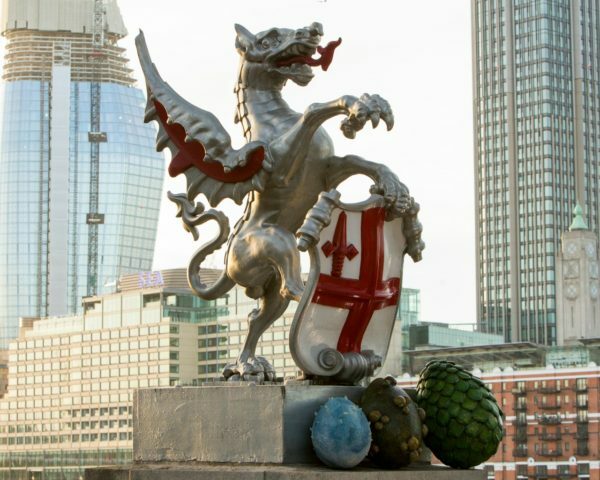 A few days ago, dragon eggs were spotted under the famous dragon boundary mark on the entrance to the City of London and we were intrigued to find out how they got there. It turns out that a delivery of cargo got lost on the way to Shrek’s Adventure and more lost eggs could be found inside the building. Little man and his friend were excited to join the How to Train Your Dragon Easter Egg Hunt and help to locate the missing eggs during our tour of Far Far Away. Shrek’s Adventure! 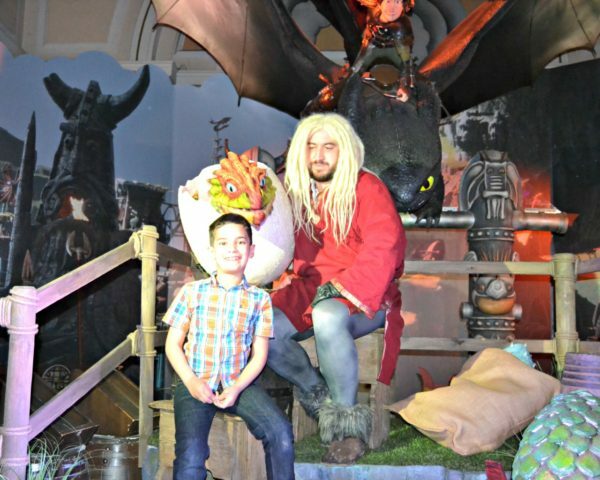 London is the capital’s newest family attraction, combining live action, stunning iconic sets and exclusive DreamWorks animation. At the start of our tour, we got on the 4D magic bus tour and had the pleasure of having Donkey as our very own driver. Unfortunately his driving skills were a bit rusty and we ended up crashing in Shrek’s swamp. We all loved the adventure, meeting family characters and exploring Far Far Away while on our way to find Shrek. The How to Train Your Dragon egg hunt added a special touch to our experience. As we were greeted by our host, we were instructed to keep an eye out for eggs on our tour. We were given a card to keep track of the lost eggs and meant to scratch off only the location where we could see a dragon egg. The boys eagerly inspected each room trying to locate the lost rare Dragon Eggs. We kept out eyes open in the departure gate, Shrek’s swamp, when we met the fortune teller, at the Poison Apple Pub, at the Wheel of Torture, Drury Lane, Muffin Man’s Bakery and the Prison. When we got back from Far Far Away, we shared our findings with Dr Thundersong and met a baby dragon. Although we can’t take pictures during the tour, there are plenty of photo opportunities with Shrek, the baby Dragon and other props at the end of the tour. Overall, we had a fantastic time and would definitely recommend Shrek’s Adventure this half-term. 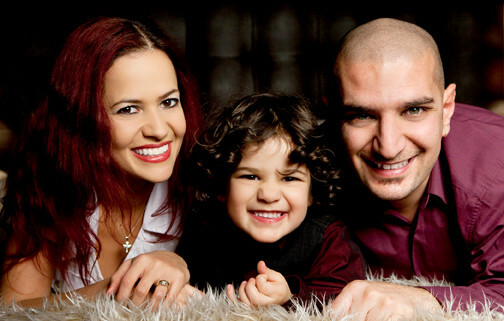 I am sure your family will also enjoy the 10 fairytale live shows and unique flying 4D bus! 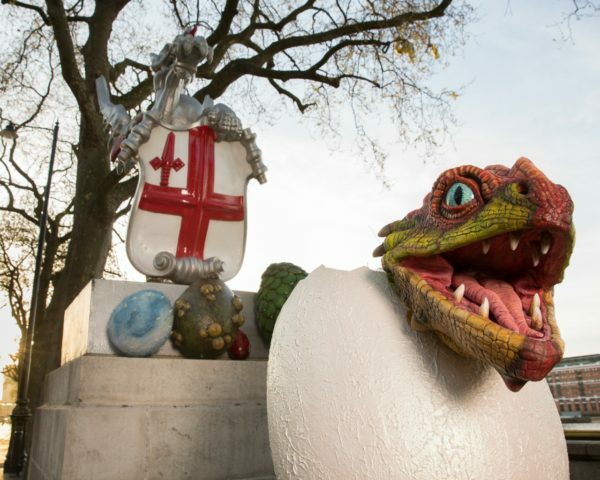 The How to find your dragon egg hunt is included in normal ticket prices and available until the 23rd April. Advanced booking is recommended as the experience will only run for a limited time. Tickets were provided free of charge, however the opinions expressed in this post are honest and my own. 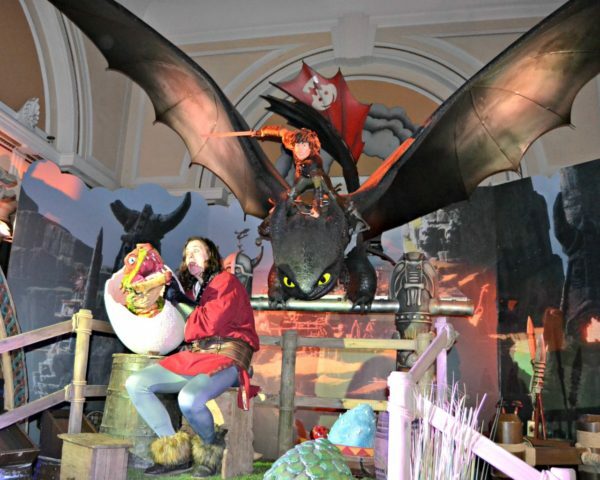 25 Responses to "Easter Holiday Fun: How To Train Your Dragon egg hunt at Shrek’s Adventure"
This looks loads of fun and something i can se my son loving when he is a bit older. 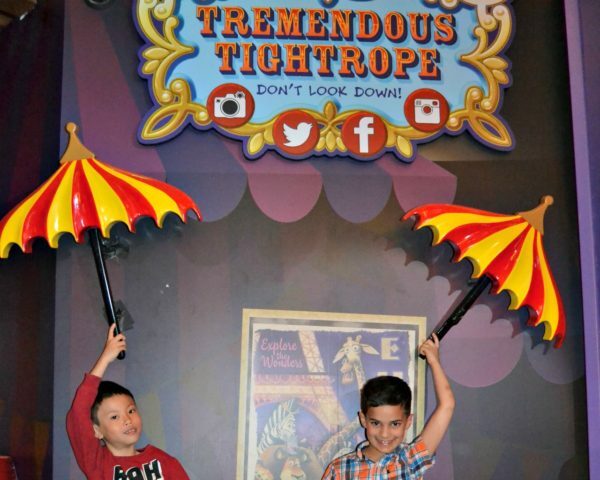 What a great attraction for kids and adults alike. That looks like it was great fun we love Shrek so I might see if I can take the kids if we can find time. Oh wow how cool is that, I have been reading a lot about Shrek Adventures and would be awesome to take my nephew for sure. Did you find the eggs? The adventure sounds like a superb fun even for an adult. Yes we found the all! It’s a shame we couldn’t take any photos inside to show you! Looks like you lot are having a fab time. We are making the most of the break too. This looks like such a fun day out. I love Shrek! EEK!!! That looks like such awesome fun I want to go!!!!! It looks like a great attraction. I will definitely want to visit. This sounds like such a fun day! What a fu egg unt adventure! We are acutally heading down next weekend, with my daughter and nephews, so let the hunt begin.